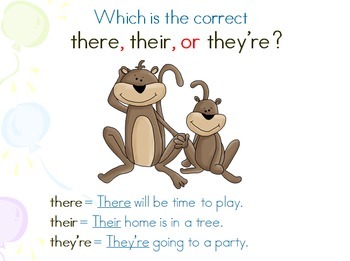 This PowerPoint presentation is used when teaching those tricky homophones there, their, and they're. Students can use white boards or paper to write answers. As you click through presentation, students will need to guess what word goes in the blank. This can also be used as a center, or to check as a pre/post assessment. 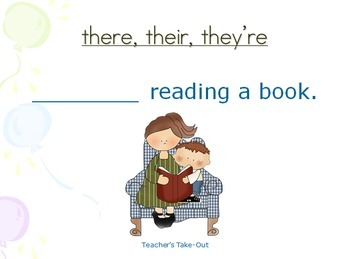 Try the pack of There, Their, and They're activities. 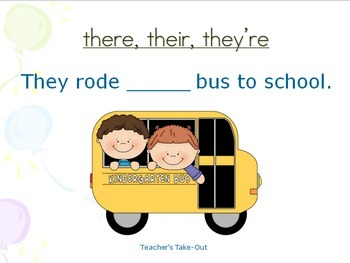 This pack is loaded with ideas to learn these tricky homophones!